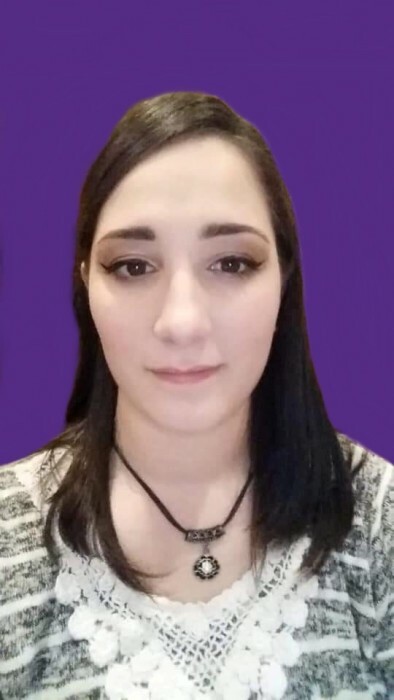 Caitlin Rose Dietrich, 25, passed away on Friday, April 5, 2019 in Oklahoma City, Oklahoma. Caitlin was born on June 4, 1993, to Timothy and Casandra Dietrich (Hoppe) at Mercy Hospital in Springfield, Massachusetts. She was a graduate from Springfield Central high school, as well as attended Job Core, and she went to school at Holyoke Community College in Holyoke, MA. One of her proudest moments was earning her CNA license and putting it to use while working as a CNA at Wingate Northampton in Massachusetts. Throughout her lifetime she enjoyed making homemade greeting cards, selling jewelry, making DIY candles, and blogging. She also loved spending time in Canaan, NY and helping her grandpa and grandma with the store, Canaan Market. At her time of death, Caitlin was currently employed by Dunkin Donuts. It was her wish to become a good witch through Wiccan church. Above all, she cherished her family, children Dexter Adams and Vincent Marcus Sanders, and her Fiancé, Preston Sanders. Caitlin is preceded in death by uncle, Scott Dietrich; step-grandfather, Bob Malboeuf; step-grandfather, Stanley Joe Davis; and step-grandfather Fran Murphy. Caitlin’s memory will forever be cherished by her sisters, Samantha Romanchenko and husband, Daniel of McKinney, TX; Oriana Dietrich of Springfield, MA; brother, Tristan Dietrich of Springfield, MA. ; her Oma (grandmother) Eveline Malboeuf; PawPaw (grandfather) Paul Hoppe; grandmother, Judith Murphy; grandfather, Wayne Dietrich; step-grandmother, Gail Davis; and Godmother Darlene Cloutier. Cailtin leaves numerous aunts, uncles, cousins, and friends who all loved her dearly. Caitlin felt a special bond with her uncle Scott Dietrich, Amy Estrada, who was like a mother to her, Juan Estrada, who treated her like a daughter, and Savannah Smith who loved Caitlin like a sister. Caitlin’s family will be memorializing her life Wednesday, April 17 from 12:00 p.m. to 2:00 p.m. at Hafey Funeral Home, located at 494 Belmont Ave, Springfield, Massachusetts 01108. Hafey Funeral Home will be open at 10:00 a.m. for anyone who would like to see Caitlin’s lifetime memories, all immediate family will be there at 11:00 a.m. For any further questions about service information please contact Hafey Funeral Home at (413) 734-4508 .